Until the last century Milan had a system of navigable canals, and it was MM’s responsibility to solve any problems related to water. In 1999, when the Municipality decided to start an “integrated water service,” it availed itself of MM’s technical and management expertise, and in 2003 entrusted it to improve the water quality and keep adequate maintenance. This meant taking care of collection, treatment, distribution and purification, covering the needs of two million residents and city users (http://www.metropolitanamilanese.it). Then, on September 6, 2017, several newspapers published a research by Orb Media, a nonprofit news organization based in Washington, D.C., on a topic that matters to billions of people around the globe. 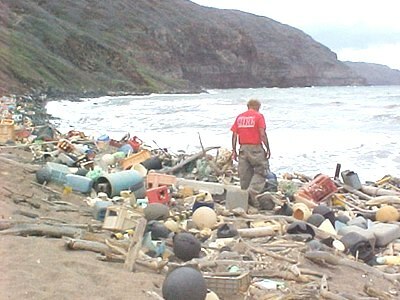 The research raised the issue of plastic pollution in the environment. Plastic particles smaller than 5 millimetres are called microplastic, while particles between 20 and 50 nanometres are called nanoplastic. These particles come above all from polyethylene or polystyrene, or even from those plastic microspheres that are increasingly present in many cleansing and exfoliating products such as toothpaste, creams, soaps and body lotions. Once they are conveyed into the wastewater they release, by mechanical, chemical or biological deterioration, potential pollutants which cannot be eliminated through the usual water purification filters. They often end up in drinking water. This microplastic and nanoplastic can be found in superficial waters, such as rivers and lakes and of course wastewater, but they eventually end up in the sea. Luckily, Milan’s drinking water comes from sources deep down in the ground, where those particles cannot be found. Therefore we can be sure that the water that comes out of the tap or spurs from the street fountains does not contain plastic contaminants. Moreover, MM’s laboratory in Milan is equipped with cutting-edge analytical instruments that allow not only routine analyses (190,000 per year! ), but also the research and study of possible different pollutants, to guarantee constant high standard quality. Several conferences have been recently held in Milan to examine the problem in depth and educate the public. A few days after this event, at the Milan Civic Aquarium, experts, scholars and scientists discussed how micro- and nanometric particles that pollute seas and oceans affect the food chain from plankton to marine animals up to mankind, with characteristics and peculiarities that still have to be investigated. On June 12, during the meeting ‘Knowing the Sea to respect and preserve it’ held at Milan’s Triennale, three important organizations discussed sea pollution and advanced some practical solutions to tackle the problem. The debate was animated by Centro Velico Caprera, together with One Ocean Foundation Yacht Club Costa Smeralda, the Association Clean Sea Life and the biologist Stefano Nannarelli, natural science researcher and founder of the Linosa Caretta Caretta turtle recovery centre. Centro Velico Caprera, currently the most important sailing school in the Mediterranean, has already readjusted its operations to minimize environmental impact on the entire Caprera Archipelago. This year they are launching a new sailing course titled “Environment, Navigation and Culture,” encouraging people to appreciate the sea as a living organism and not just the sailing experience per se. The course will involve over 2,000 students. (See https://centrovelicocaprera.it/). This new approach is the brainchild of Stefano Nannarelli and his 25-years experience in the field. 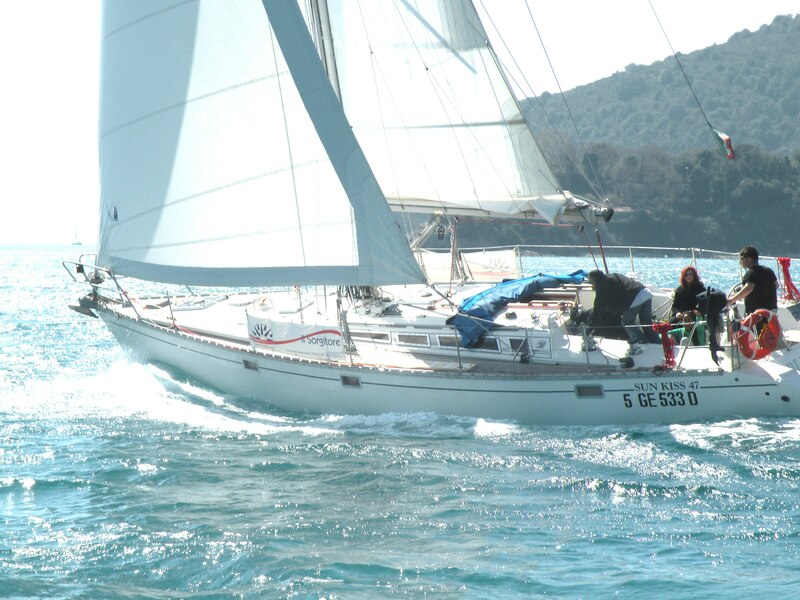 He will be sailing with several crews throughout the summer season, demonstrating how to spot the signs of human bad behaviours among the waves and on the seabed, and how to implement the right remedies. At the same time, One Ocean Foundation and Yacht Club Costa Smeralda introduced their commitment to change: see http://www.oneworldoneocean.com. In Italy, on their website, they encourage visitors to sign a basic marine safeguard ethical conduct code called The Charta Smeralda, commissioned by Princess Zahra Aga Khan. https://www.1ocean.org/en/charta-smeralda. Last but not least, Clean Sea Life illustrated their awareness-raising programme on ocean pollution. This is an extraordinary campaign to clean Italy’s coasts and sea floor that is uniting all marine enthusiasts, such as divers, yachtsmen, fishermen, beachgoers, students and citizens in the protection of the Mediterranean. Thousands of people, clubs, schools and tour operators have already joined in and now they invite everybody to follow their example. Make this your personal rule: do not throw even the smallest object (receipts, chewing gums, cigarette butts, cotton swabs) on city sidewalks, in toilets, into inland waters or directly into the sea … do not use cosmetics containing microplastics, or release balloons into the sky: once they get loose, balloons can pose a threat to many animals. Birds, turtles and other animals commonly mistake balloons for food, which can harm or even kill them! http://cleansealife.it/?lang=en. Spend a different summer: join one of these projects!